This week two engineers from contractor Bam Nuttall came to present a common problem in the industry as exemplified by a small part of the Borders Rail project which has recently been handed over. The problem was of presenting construction proposals to the tendering process. This is a complex issue whereby a problem is presented by a client as a brief and numerous companies present options for overcoming the problem that fulfil the clients brief, the client then decides which best fits their needs and offers the contract to that contractor. The client's decision is based on a hierarchy of preferable qualities within each proposal, commonly revolving around quality, length of program and cost. The most heavily weighted factors tend to be the speed and cost of a proposal for most clients, as these have the highest impacts on their own business. It is the job of a team within each contracting firm to win these contracts by proposing solutions to overcome the clients problem. Their job is complicated by the need for the company to actually make a profit on the job. This restricts them from under-bidding their competitors in order to win every contract, as by doing this they would lose money as the cost of projects exceeded the agreed amount to be paid by the client, eventually putting the contractor out of business. The primary challenge for the contractor then is to find value within its engineering solutions allowing them to quote relatively low prices for jobs while still making a profit. There are several places value can be found by the contractor within a project, the main two are within material costs and in the time-span of proposed works. By reducing the material costs to a project it's plain to see that the project as a whole would end up costing less. By reducing the time spent on site there are cost reducing effects felt in a number of other cost-producing factors such as labour costs, plant hire, land usage and client-side economic benefits. The primary job of the contractor proposal team therefore is to find engineering solutions which cost as little as possible and can be put in place as fast as possible with the least risk, which is an entirely different range of problems the contractor has to overcome and take into account in its proposals that largely increases depending on the balance of quality cost and timing of a project. 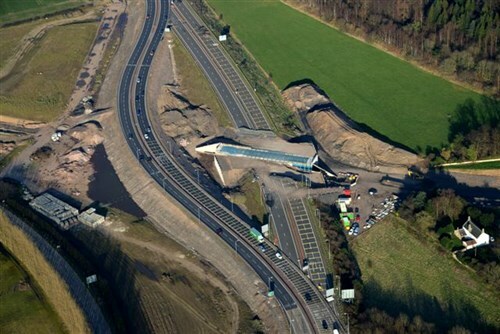 Our job as a mixed team of 1st-5th year students was to cost two proposed options for installing an overpass for the Edinburgh bypass over the new Borders railway project and decide which would be presented to the client. The brief included a necessity for traffic to be constantly able to flow and with minimum disruption. It was also stated that build-ability and program length would be given heavy weighting in the tender judging alongside final project cost. 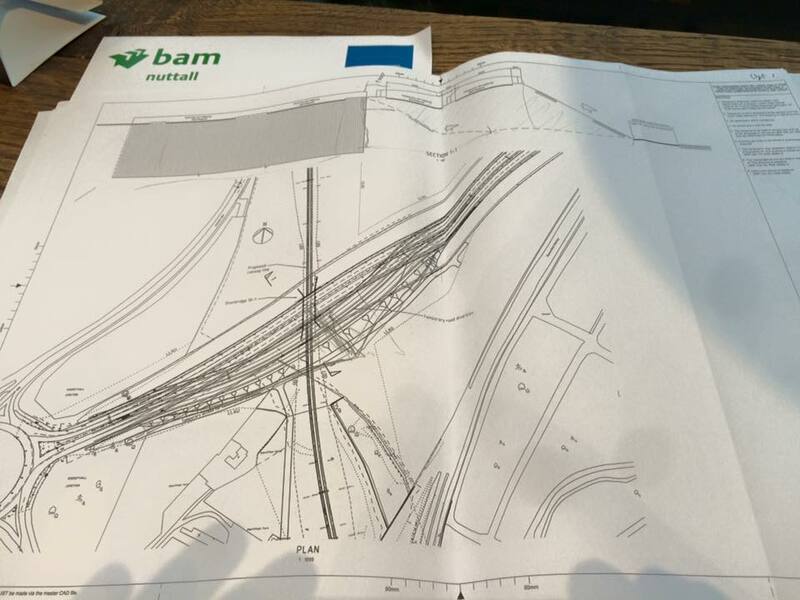 Option one was for two sloping embankments to be constructed creating ramps down from and back up to the existing road-way in a diversion around the site of the new bridge. The bridge itself would be started by creating a piling platform (a rectangular horizontal concrete platform) from which two contiguous pile walls could be drilled and backfilled with concrete. The space between these two parallel lines would then be excavated, turning the piles into combination retaining walls. Concrete beams with overlying fill could then be put in place spanning the new gap in the road and a new roadway lain on top. 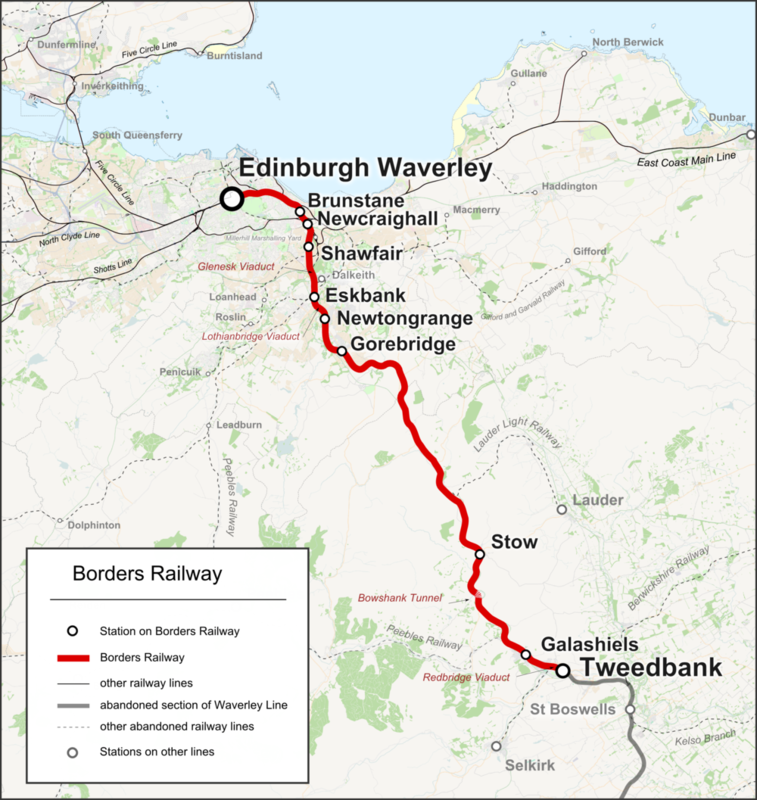 The railway could then be completed at a later date. The main advantage of this option would be reduced volumes of earth moved to create the two earthen ramps that would carry the temporary roadway, reducing environmental impact, and maintaining traffic flow at all times. Option two was for a second embankment to be created which remained level with the existing roadway at all points, followed by excavation of the site of the new bridge and placement of a pre-cast concrete box with internal dimensions fit to carry the two lane railway. This was then overlain with the excavated Earth creating a level surface at the original elevation, the roadway placed back in it's original position, and Earth reclaimed from the temporary embankment to be used at other sites along the length of the railway. The advantages to this approach included less material costs as less concrete was needed to create the stable bridge, taking advantage off the relatively stable ground beneath the site to negate the need for piling, reduced complication by removing in-situ concrete pours which are more prone to quality issues, speedier delivery due to less down time from concrete maturation times. The teams had to delegate tasks to individuals in order to cost each segment of work prior to coming together to decide which would be the most time and cost effective. Volumes of embankments and concrete pours had to be calculated along with their time constraints before totalling everything and comparing. It was decided almost unanimously amongst the groups that the second option would be both cheaper and faster to implement, and that the reduced risk and boost to quality that pre-casting the tunnel section would provide would add extra value to the client within the proposed package. This was an interesting project that simulated well the time constraints placed on procurement teams in the contracting industry to turn over proposals for tender to clients. It was also a great opportunity to examine genuine drawings of the proposed work and actively read them to find levels and dimensions in order to incorporate them into calculations of volumes and ultimately costs. Finally it was a great exercise in applying assumptions when a situation was encountered with incomplete information. This was advised given the time constraints of the exercise and gave a good impression of the error and risk which they introduce. It highlighted to me that a lot of value to the contractor could also be gained after the tendering process by creating more accurate budgets following overestimates of cost at the point of tender submission.